ADRIENNE ALPERN, A graphic designer from San Diego, has received her iPhone 6S almost five days earlier than the official shipping date of September 25. 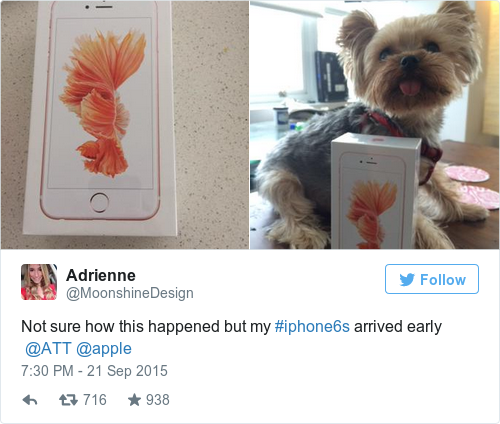 Alpern took to Twitter to express surprise that AT&T had shipped her new iPhone so early, before posting the benchmark scores alongside photos and videos taken by the 6S. 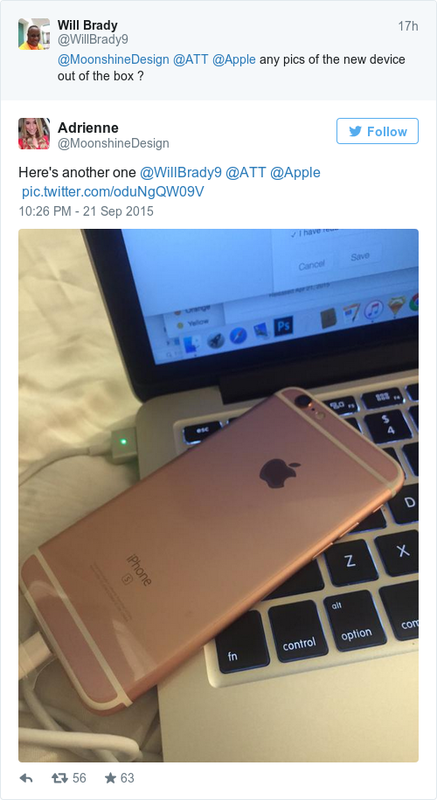 The iPhone 6S in question appears to be the new Rose Gold model, which looks slightly pink. The back of the device now has an “S” under the “iPhone,” signifying that it’s the newest model. Alpern then went on to test the new 4K camera quality, posting multiple videos of some flowers and then her dog, Ringo. Apple spent a lot of time on stage stressing that the new camera was better than previous iPhones, and while Twitter has compressed the video below its original format, the results do look good. The inside of the iPhone 6S box is a pretty standard Apple affair, with the usual headphones, USB cable and plug. Alpern also decided to benchmark her new iPhone, confirming that the new model comes with 2GB of RAM, an upgrade from previous versions which have traditionally only had 1GB. This should, in real world use, make the iPhone 6S seem much faster. Email “This customer just received her brand spanking new iPhone 6S five days early...”. Feedback on “This customer just received her brand spanking new iPhone 6S five days early...”.